For his brunch I planned to have some blood orange mimosas as booze needs to be reppin in order to qualify as brunch. Also because I had to use the blood oranges I impulse bought because they looked so yummy. The other thing I made was some candied bacon in the shape of a heart. We often make it for brunches. Simplest recipe ever. Oven at 350. Slap some bacon on a well lined sheet pan. Sprinkle some brown sugar and perhaps some maple syrup on it and bake for 20 minutes. Delicious. The bacon shriveled to a very awkward shape that was nowhere near a heart so I decided to spare anyone from having to see the pictures. 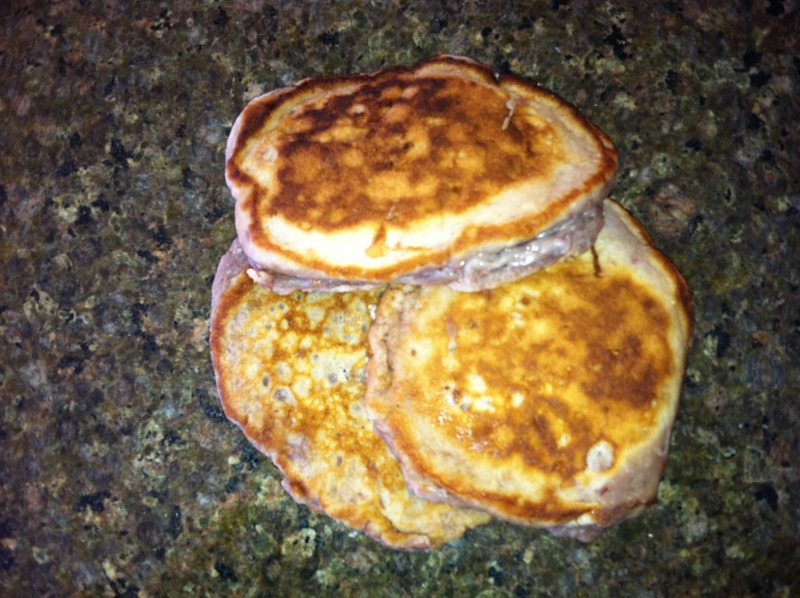 For even more Valentines day spirit I made pink tinged pancakes. Or at least tried to. I took this recipe and doubled the amount of raspberries. I think that made it purple more than pink as you can see. I didn’t cut them into heart shapes as suggested after the miserable disaster of the bacon. So good though. In hindsight I probably shouldnt have picked these pancakes for Blink’s brunch as they are more my taste than his but he enjoyed them slathered with butter. The final thing that I made is Bob’s favorite brunch dis h ever. 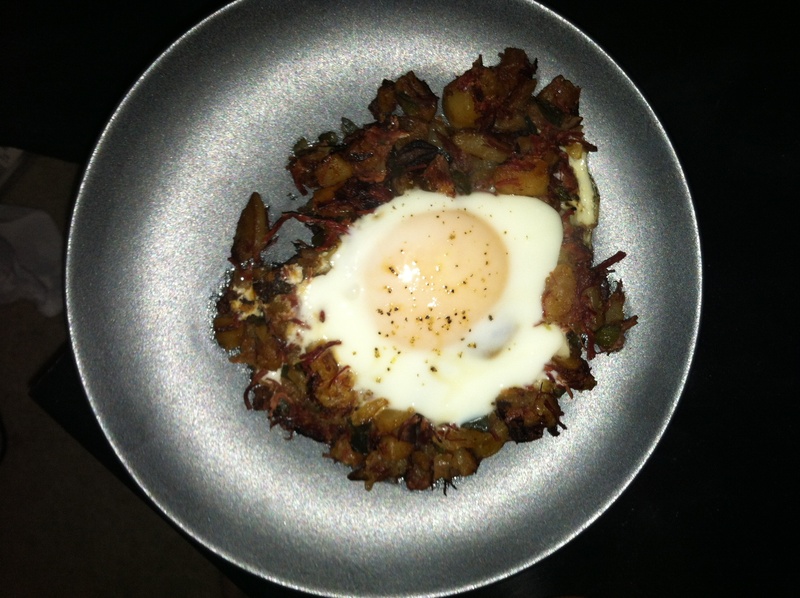 Corned beef hash. I used a recipe from my favorite site maybe ever, Serious Eats, and rocked it out. Blink was there when grocery shopping and he called corned beef has as soon as he saw me buying the cut of meat but he said that he was surprised with how I did. His favorite part was the addition of the poblano.